I'm working on making lots of thank you notes this week! For today's A2 size card, I pulled out lots of My Creative Time goodies. I started by stamping a few chevron stripes in tuxedo black and blueberry sky ink using the Build a Chevy Background Stamp Set. 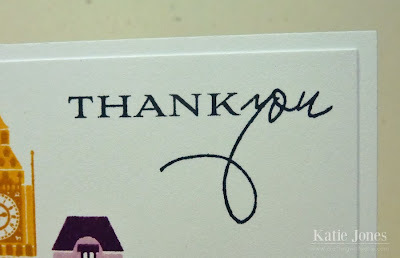 To make my sentiment, I took "Thank You" from More Gift Card Sentiments and "From our home to yours!" 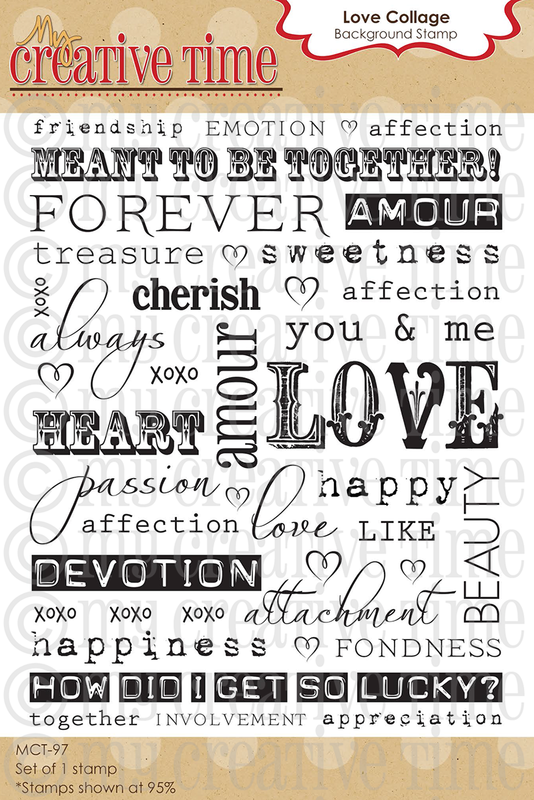 from Gift Card Sentiments. 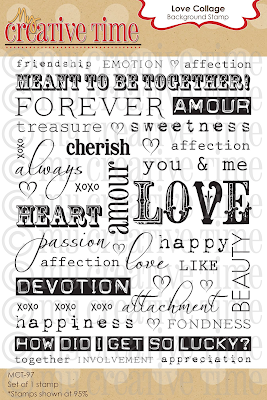 These two stamp sets mix and match perfectly since they have the same font. 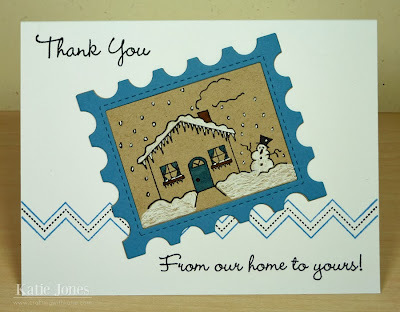 This cute little scene is made with the Christmas House stamp. I love that it can actually just be used as a winter scene. 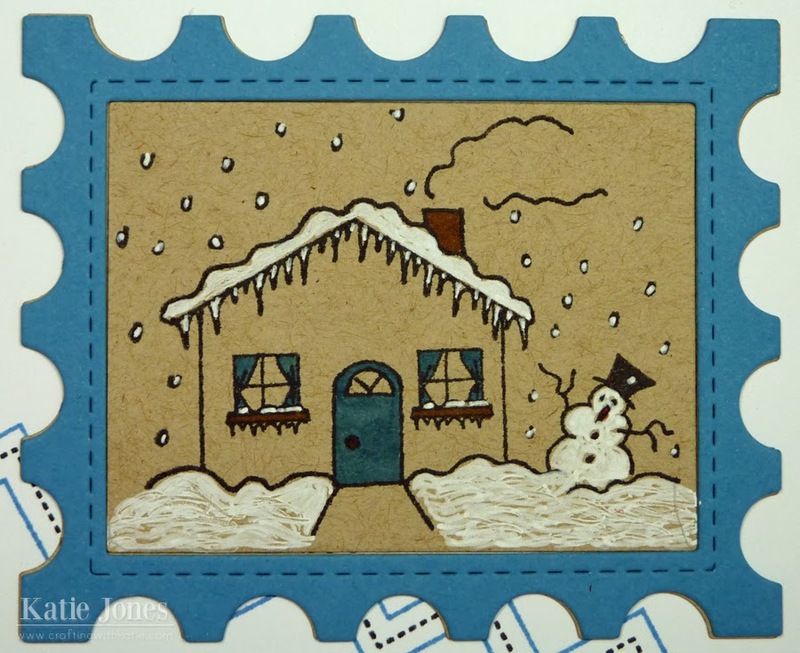 I stamped it on kraft cardstock on the inner section of a die cut made with the Stitched Postage Frame Die and then colored it with some Copic markers and a Sakura White Gelly Roll Pen. Keep stopping by this week for more thank you card ideas! I've had the Papertrey Ink Stitches & Swirls stamp set for a long time and have used it as a background, but I was very excited to see them come out with a solid coordinating set. I love how the solid flowers and leaves look over the stitched lines - it almost gives it a hand sewn look! 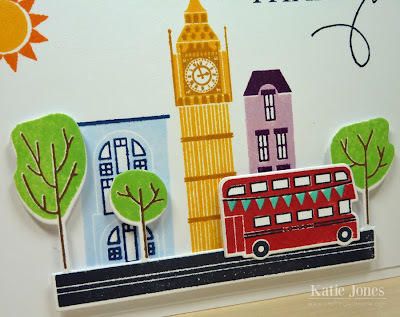 I've had some fun playing with one of my Christmas gifts this morning: Papertrey Ink's City Scene collection. 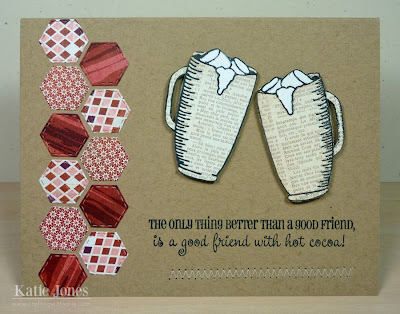 This is so fun, with its layered stamps and dies! I made this thank you note for my parents, since many years back we all went on a trip to London together. I thought they'd appreciate the scene. A couple of months ago I stocked up on Hero Arts ink when Joann's had them on sale, and I love how well they work for solid images like the ones in this set! I used some dimensional adhesive to pop up the road, trees, and double-decker bus. 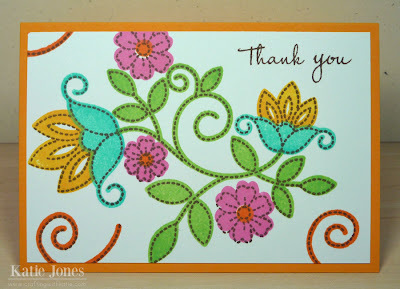 The sentiment is from another PTI stamp set, Botanical Silhouettes. I wanted to share this Christmas present my son Eric and I gave to my dad this year. 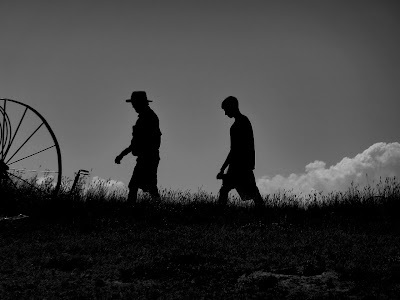 This is a Silhouette cut of my dad and Eric. I've been wanting to do this project for a couple of years, but I didn't have the Photoshop skills. Luckily Eric does now! This was the original picture. A lot of it is dark, and I was able to darken most of it, playing with the contrast and saturation, but Eric's shorts and my dad's hat were giving me a lot of trouble. I wish I could tell you how Eric fixed that, but I have no idea. Somehow, he turned it into this for me. I was then able to pull it into the Designer Edition of Silhouette Studio and use the Trace feature to create cut lines. The weeds at the base were way too tiny, so I ended up cutting them off and using a Samantha Walker Border Grass Cut instead. I cut it all in black, mounted it on some pretty background paper, and now we've got a treasured keepsake! 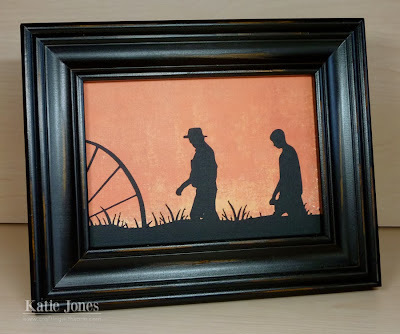 Please click here for the MCT Farewell Blog Hop. I have been receiving a lot of emails asking questions about how to download my searchable My Creative Time catalogue, so I put together a video for you. This catalogue is in PDF format, so it can be used right on your desktop. In the video I also show how to sync it to your iPad, and I'm sure it can easily be synced to an Android tablet as well, but I don't own one to show you that process. You could also print this and put it in your binder. I will be updating the catalogue after each release, so you can just delete the previous version and download the new one when I let you know there is an update. Enjoy! 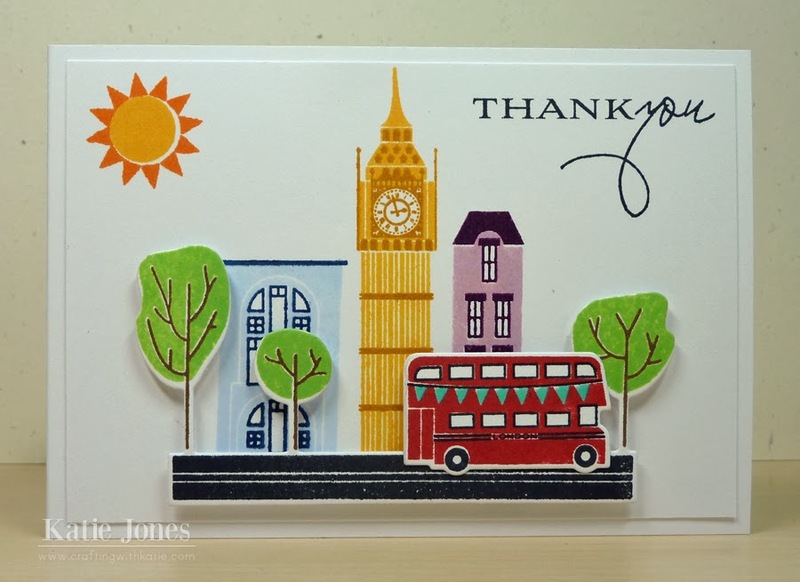 Welcome to our My Creative Time "Farewell Blog Hop"! If you just happened to arrive here, you might want to start back at Emma's blog, so that you don't miss anything! Our design team term has sadly come to an end, and since we have all become such good friends, we decided to make our last blog hop together be a "Friendship" theme. I hope all of you have thoroughly enjoyed this team as much as I did - they are a great group of ladies, and I will miss working with them! Be sure to read to the end of this post, because we EACH have a giveaway for you today! For my card today, I pulled out a few of my old favorite stamp and die sets. The hexagons were made with my favorite Stitched Hexy Dies, using Basic Gray's Eskimo Kisses patterned paper. The hot cocoa mug and stamp are from Do the Cocoa Motion. To get the mirror image of the mug, I stamped it onto acetate and then quickly pressed my patterned paper onto that. This gave me a faint image that I was able to darken with a thin marker. 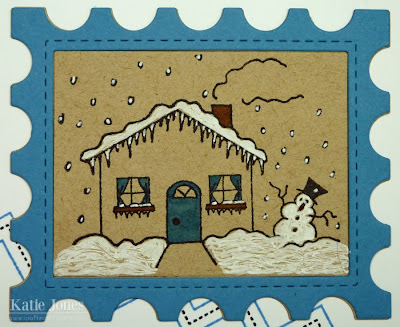 I also stamped the images again on white cardstock and cut out the marshmallows. After adhering them to the mugs, I went over them with a Sakura White Opaque Glaze Pen. A little stitching at the bottom of the card was just a fun extra detail. There will be a sale in the My Creative Time Store FOR THIS WEEKEND ONLY, beginning Friday, 12/20 and ending Sunday, 12/22 @ midnight PST. Use code: FAREWELL2013 to get 25% off all IN STOCK ITEMS ONLY!! !